Eating avocado regularly can do wonders for your complexion. Avocado is a pear-shaped fruit known for its miraculous health and beauty benefits. It is also called butter fruit or alligator pear. This fruit is naturally loaded with essential minerals and nutrients and so it is also traditionally used for health care and skin care apart from eating its flesh as a fruit. It contains over 25 vital nutrients including vitamins (A, B, C, E, and K) and minerals such as copper, potassium, iron, magnesium, and phosphorus. Moreover, it also contains essential proteins, fibers and beneficial phytochemicals like glutathione, lutein, and beta-sitosterol. Just eating Avocado regularly will undoubtedly help to improve your skin and hair from within and when applied directly, the power of the avocado goes even further and can work wonders. Skin care products available in the market use it especially in products for dry skin. It is also used for other skin types as well. 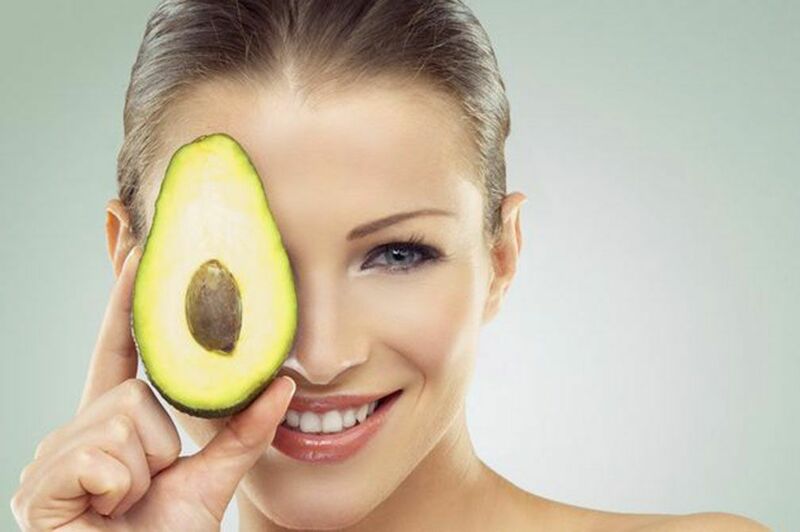 Let’s see wonderful benefits and uses of avocado for skin, hair, health, and beauty. One of the most important beauty benefits of avocado is its ability to keep our skin clear. 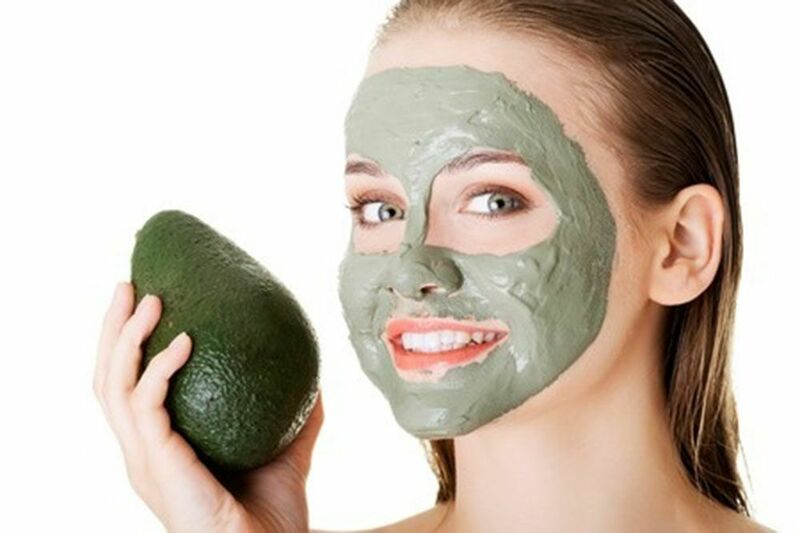 It is a good source of vitamin A which helps in getting rid of dead skin cells, and the glutamine amino acid present in avocados helps in skin cleansing, and also protects our skin from the harsh environmental factors like pollution, dirt etc. Avocado works well for wrinkles and age spots. When applied with cocoa butter, it helps in lightening scars and spots and gives you a radiant skin tone. Everyone wants to keep their youthful good looks for as long, as possible and eating avocados can help. The antioxidants in the fruit will help to detoxify your body and help to reduce the appearance of wrinkles, making your skin more supple and plump. Avocados have excellent moisturizing properties that can soften, sooth and quench the driest of skin, so it makes perfect sense to use this wonder fruit to moisturize yourself all over. Apply avocado oil on his skin to get rid of dry skin for moisturizing it properly. Avocado oil goes into our skin pores deeply and provides proper nourishment to our skin. For a healthy and glowing complexion, drink a cup of avocado juice a day and it will nourish and protect your skin from the inside out. You can mix one ripe avocado with a cup of milk in your blender, add some honey if you like it sweet and enjoy wonderful refreshing drink full of healthy nutrients. Your hair needs proteins and healthy fat to keep it healthy and shiny and avocados are one of the good sources of healthy fats,omega-3, as well as biotins. Butter fruit works as an effective conditioner for dry hair. It is creamy and heavy. Massaging your hair with the butter fruit paste results in soft and healthy looking hair. It effectively conditions damaged and dry hair. It also controls frizz hair to a great extent. Avocado oil is an exceptional treatment for revitalizing dry, damaged, lifeless hair. It deep conditions your locks and scalp and hence leaves them looking lustrous and full of life.